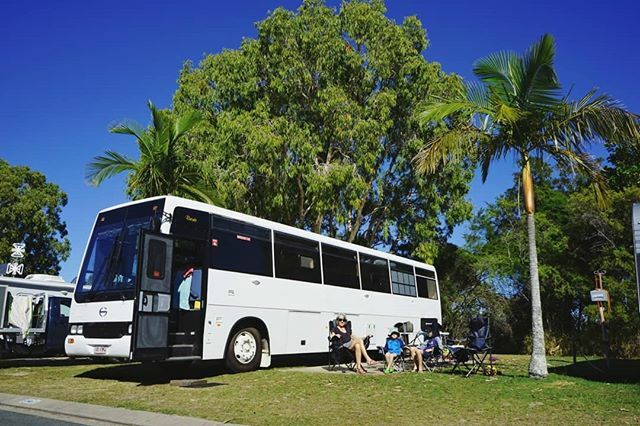 Kicking back in the winter sun with Bronte the bus, the boys and Nana at Boyds Bay Holiday Park. This quiet and relaxed park is only a short drive from so many of our Tweed Coast favourites including Fingal Head lighthouse, Duranbah and Point Danger. We had a wonderful time exploring this part of the coast with @tweedcoastholidayparks. View the original Instagram post. Follow us on Instagram at Tales From The Wild. Liked it? Take a second to support Tales From The Wild on Patreon! This entry was posted in Blog and tagged boydsbayholidaypark, busconversion, buslife, destinationtweed, family, homeiswhereyouparkit, instagram, ocean, ontheroad, sea, seeaustralia, skoolie, talesfromthewild, tchpboydsbay, tchpmemories, thetweed, travelwithkids, tweedcoastholidayparks, tweedheads, twilight, vanlife, wander, wanderlust. We are an Australian family of four, currently converting a bus into our tiny house on wheels and preparing to leap into the wild in 2018. Hello everyone! It’s been a while since we posted on here. Our bus project is coming along and we’re excited (or perhaps relieved) to say that it’s nearly finished now!